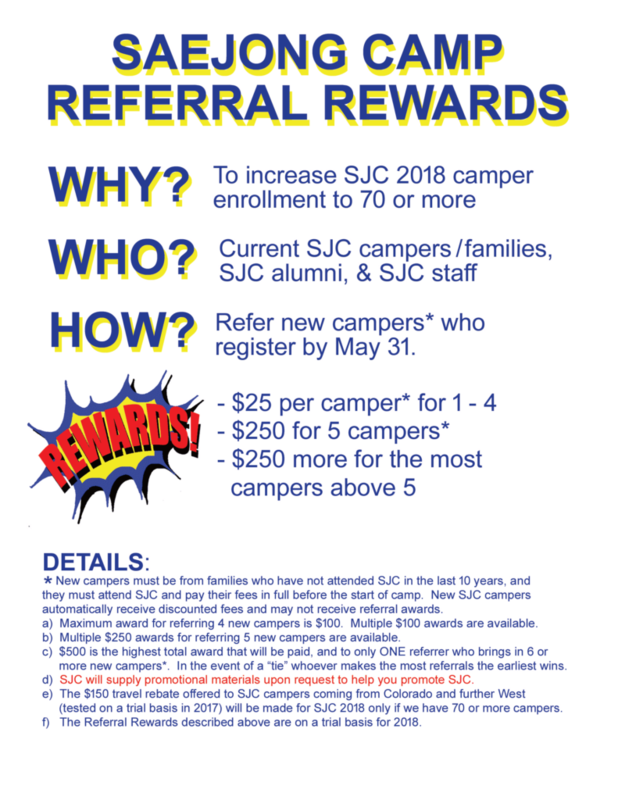 We’re hoping you can help make SJC 2018 the best ever by referring new campers. If you do, YOU can earn up to $500. Please see the flyer below for complete details. Registration will be opening towards the end FEB. Please sign up to our newsletter to be notified. If you’d like brochures to help you promote SJC, please e-mail us at info@saejongcamp.org. And please refer folks to our website too! NOTE: Referrals will be confirmed through online registration by the referred family.